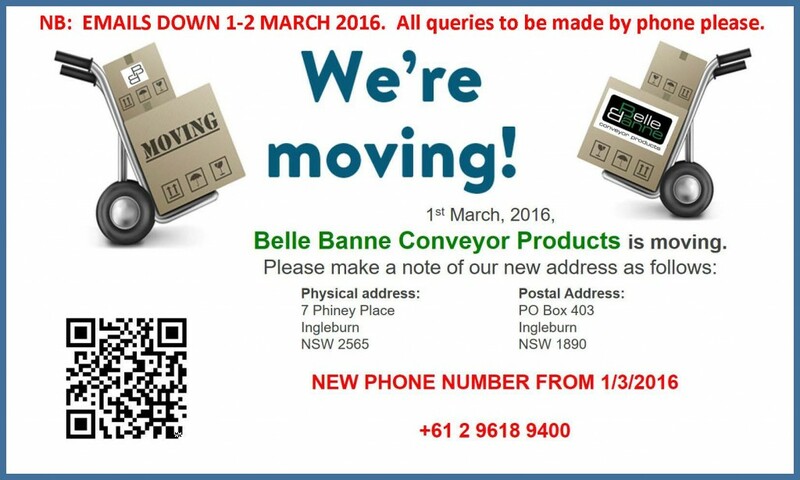 Belle Banne Conveyor Products is moving to larger facilities on 1 March 2016. Please note that all emails will be down on 1 and 2 March 2016. All queries to be made by phone please. We thank you for your co-operation and patience during the move.